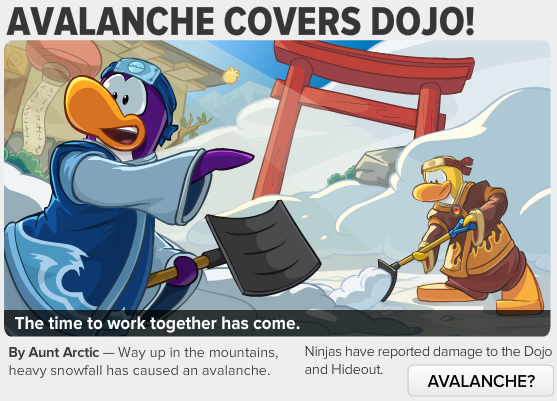 By Aunt Arctic - Way up in the mountains, heavy snowfall has caused an avalanche. Ninjas have reported damage to the Dojo and Hideout. Looks like there is a huge blizzard going on right now! I think Sensei knew this time would time because he has been giving hints. 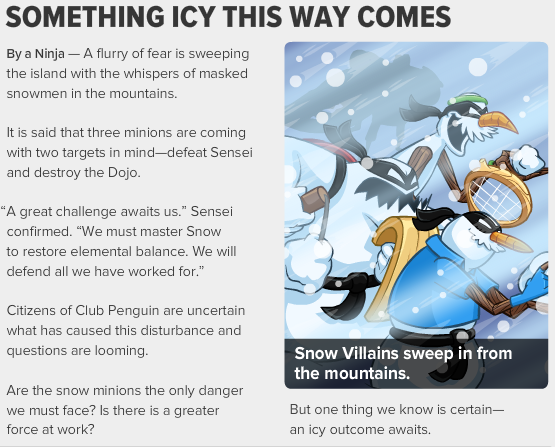 By a Ninja -- A flurry of fear is sweeping the island with the whispers of masked snowmen in the mountains. That is SO creepy!! I would NOT like to hear whispers coming from huge scary snowmen with masks!! 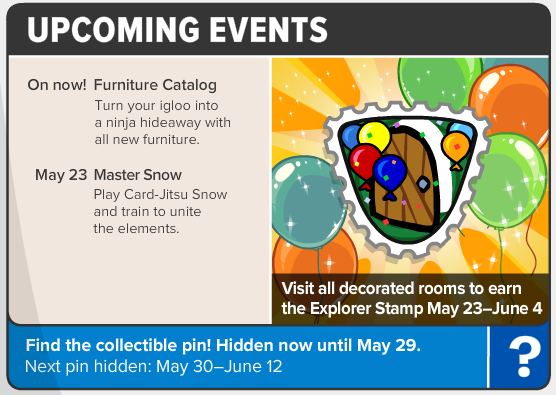 Furniture Catalog: Turn your igloo into a ninja hideaway with all new furniture. Master Snow: Play Card-Jitsu Snow and train to unite the elements.